Trump sent 3 tweets on the Mueller probe. He got (at least) 6 facts wrong. 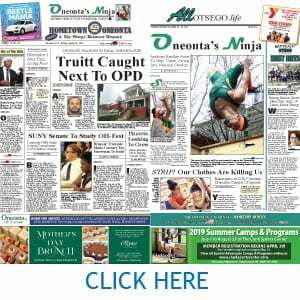 Home › AllOTSEGO | Editorial | Hometown Oneonta | The Freeman's Journal | This Week's Newspapers › ABOLISH OTSEGO 2000! Abolish Otsego Now? Goodness. It’s Otsego County’s “single point of contact” on economic development, the locus of job-creating efforts. Adrian Kuzminski, our creative and thought-provoking columnist, suggests such in the column on the opposite page. Read the column. But here’s an alternative idea. 10-year effort to redevelop Oneonta’s vacant D&H railyards. Jordanville wind farm because the windmills would have degraded the “viewshed” from James Fenimore Cooper’s Glimmerglass. The typical 1.5 MW wind turbine creates enough electricity to power 332 homes; 160 would have powered 53,120 homes, more than double the 23,921 homes in Otsego County. Now, Otsego 2000 has dug in its heels on bringing any more natural gas to Otsego County. Zilch. Nada. Zero. If Otsego 2000 had allowed the Jordanville project to go forward, we wouldn’t need to have the conversation about natural gas at all. We would have had plenty of electricity. Yes, it deserves to be revered for blocking plans to run a string of 765Kv powerlines along Glimmerglass’ ridgeline, for creating the Glimmerglass National Historic District, the nation’s largest, for founding the Cooperstown Farmers’ Market, for its annual preservation awards, and for preventing the over-expansion of Glimmerglass State Park’s boat launch in the 1990s. More recently, it was on the forefront of blocking fracking, originally in Otsego County, but – when explorations discovered there was too little gas beneath our beauteous hills for fracking – it expanded its crusade to block the Constitution Pipeline through Delaware County and, more recently, natural gas everywhere. At some point in recent years, this line was added to Otsego 2000’s mission statement: “As no place is an island, we extend our concern and programs to the region’s larger setting in Central New York.” Lately, “and the world,” might be more apt. For the past five years, Otsego 2000 has concentrated on blocking a gas transmission station in Minden, near Herkimer (and supplies to the Eastern Seaboard) under the argument that, Cherry Valley being nine miles away, some of the emissions might sneak over the county line. 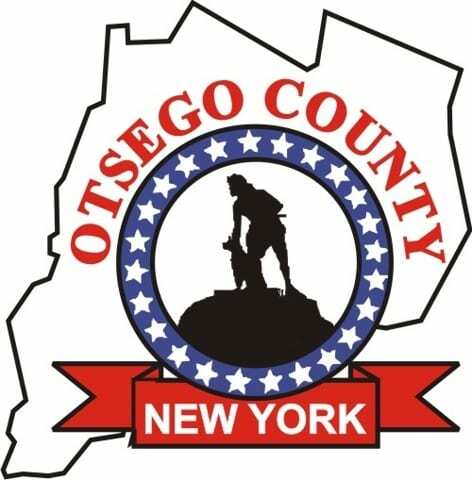 It’s fair to ask: Has Otsego 2000 grown too big for Otsego County? Perhaps it’s time to move to New York City – United States of America 2050. Or even Geneva – The World 3000. In the last few months, the anti-gas initiative has focused on Otsego County’s economic-development efforts, which, yes, might require an itty-bitty more gas, not even a drop in the ocean of international energy demand. But Otsego 2000 and the gas opponents were unmoved, recasting the issue as a moral one: in effect, that saving a match stick is equivalent to saving a Redwood. This week, the poverty-fighting Opportunities for Otsego issued its annual report: The poverty rate in the City of Oneonta is 25.6 percent. Where’s the morality in institutionalizing that? Put another way, allowing faraway turbines that may be visible from Five Mile Point at certain times on certain days – but might allow the county to meet its energy needs with renewables – is NOT a sacrifice worth making to Save the Planet. But maintaining Oneonta’s poverty IS a sacrifice worth making to Save the Planet. 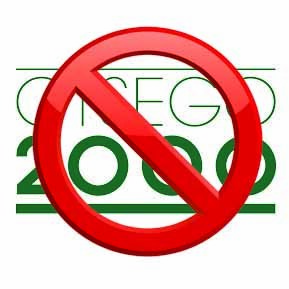 OK, let’s not: Here’s a better idea – Otsego 2000 should refocus on its original mission, protecting historic Glimmerglass, a national environmental icon, and, to the degree it can, contribute to raising the general prosperity of a county where many people are under economic duress. Henry Cooper would have wanted it that way. For that matter, let’s not abolish Otsego Now either.